You can add a Custom HTML module to your page, and just paste in the code for the social media feed. The code is available from each service. Remember, you must have the social media icons up in the site header as well. Search for "social media icons" to find how to edit those. 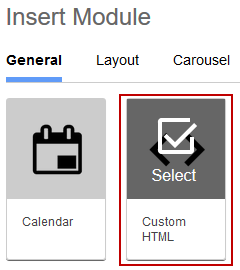 Add the Custom HTML module. Click Code Editor up in the toolbar. The left column is HTML. That's where you can paste your code. You can visit the following links to get the code. For any other links, you can search on Google for any other service you wish to embed, to find the code. Once you paste the code in the 'Custom HTML' column, the code is embedded and displays on the respective social media feed.